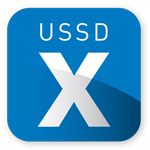 USSDx™ Server – Balefyre’s USSDx™ Server receives USSD requests over IP and converts them for handling by an MNO’s existing USSD gateway. USSDx™ acts an adapter with IP on one side and SS7 or Sigtran on the other. Services that already exist on the USSD gateway are seamlessly exposed via your chosen smart app. USSD requests are sent over IP to the USSDx™ server for conversion and passed on to any existing USSD gateway regardless of whether the USSDx™ functionality is incorporated into the MNO’s own app or if the MNO simply chooses to brand Balefyre’s existing emDial app. With the introduction of OneTouch USSD, Smart device users are able to interface with traditional USSD applications in an app-like manner. USSDx™ client libraries and emDial are available for iOS (iPad), Android (Tablet and Phone), Windows Phone 7&8 and Nokia S40.